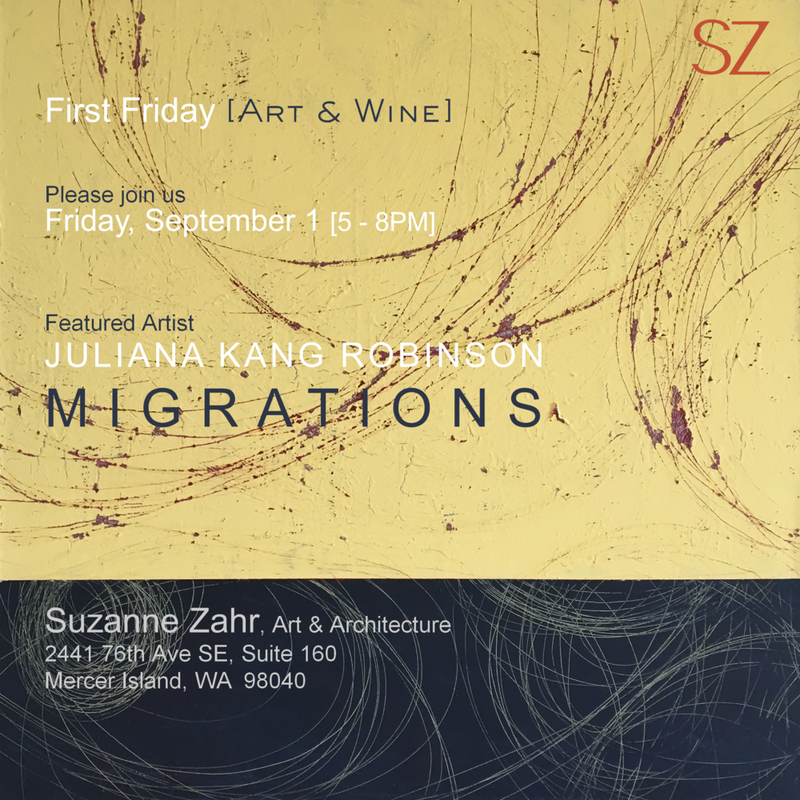 Juliana Kang Robinson's show "Migrations" opens on September 1st at SZ Gallery during the First Friday Art Walk. Stop by for a night of art, wine, and delicious bites catered by Caruccio's! Juliana's art will be available for purchase. Mercer Sources and Clarke + Clarke Art + Artifacts will also be participating. In an interview with Juliana, she shared why she named her exhibit "Migrations": “The burrowing beneath the sand or soil by subterranean critters, the arc of flight by a swarm of birds, the fluid undulations of a school of fish are all the movements that inform my work. Tides of marks and sweeping cuts in the surface of the paintings make visible and track the movements that take place all around us.” Using nature as her muse, the layers within her work are meant to mimic the beauty found in natural movements over time. Read more about Juliana's work on our featured artist post. View Juliana's artwork on her artist's page.